Peeura™ Mustard Oilismanufacturedin a traditional way with modern techniques,where no chemicalsorand high temperature heating is been used. This helps to maintain the natural quality and aroma of oils. Widely recommended by health experts it contains least amount of saturated fatty acids, suitable omega 6 and omega 3 ratio and appropriate mixture of both monounsaturated polyunsaturated acids. Thus, they have high cholesterol reduction and anti-oxidant properties and several other essential health benefits. Peeura Mustard Oil is the symbol of Purity. It justifies the motto of the company that is Taste the Purity. 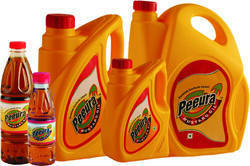 Peeura Mustard Oil is available in virgin with attractive packing. 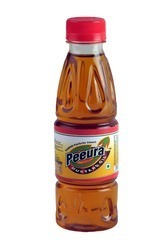 Peeura is widely used as an edible oil as it is cholesterol free and no trans-fatty acid. Being good Omega 3 and 6 contain makes is most suitable cooking oil. 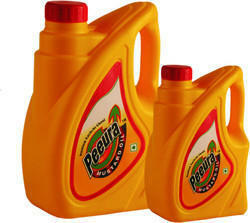 Peeura to serve the demand of small consumer it is available in sizes of 175ml and 200ml. Thses packs are widely use as massage oil too.